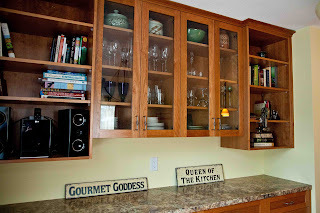 Amazon in the Kitchen: Long Awaited Kitchen Renovation Shots! Here is the view from the living room, over the island. There used to be a wall here. So there it is. If you can't remember what it used to look like, check out my earlier blog. 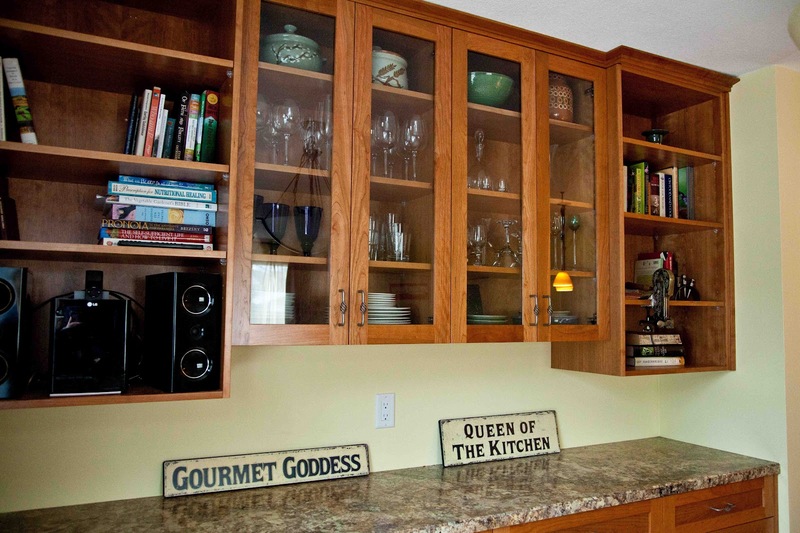 It is a vast improvement—we love being in the space, and I love cooking in it. There are a few minor glitches that we discovered after the fact about how the space works (such as, the garbage/recycling pull-out is right by the sink, but if someone is washing dishes, they are in the way of anyone who needs to throw something in the recycling/garbage. That sort of thing). 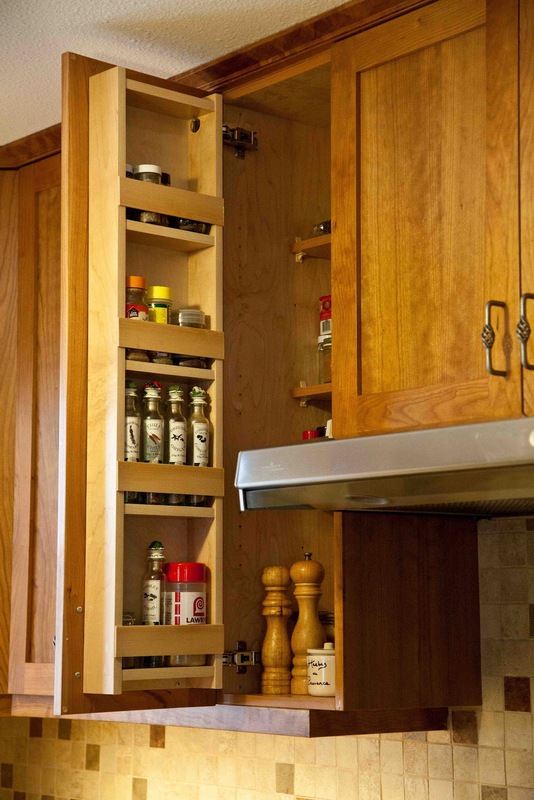 I'd also like to say besides the real wood cabinetry, we did not opt for high-end materials. 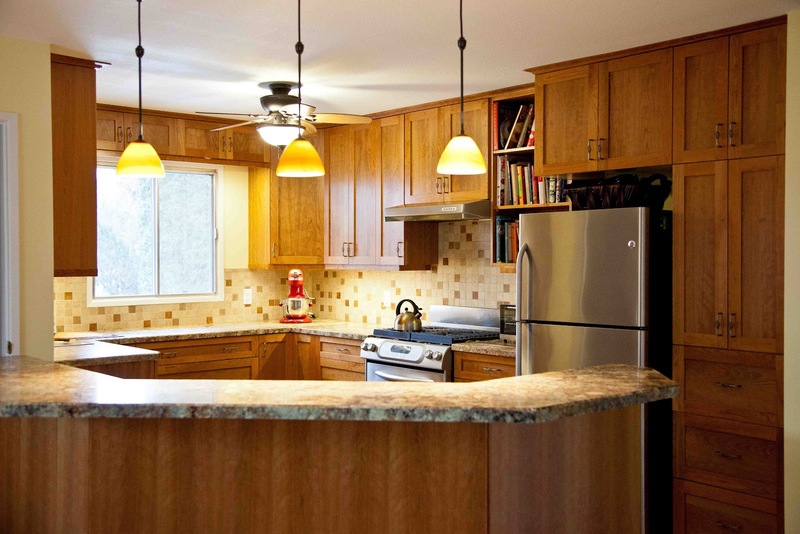 Our kids beat the hell out of everything, and we decided now is not the time to go for fancy floors or countertops. 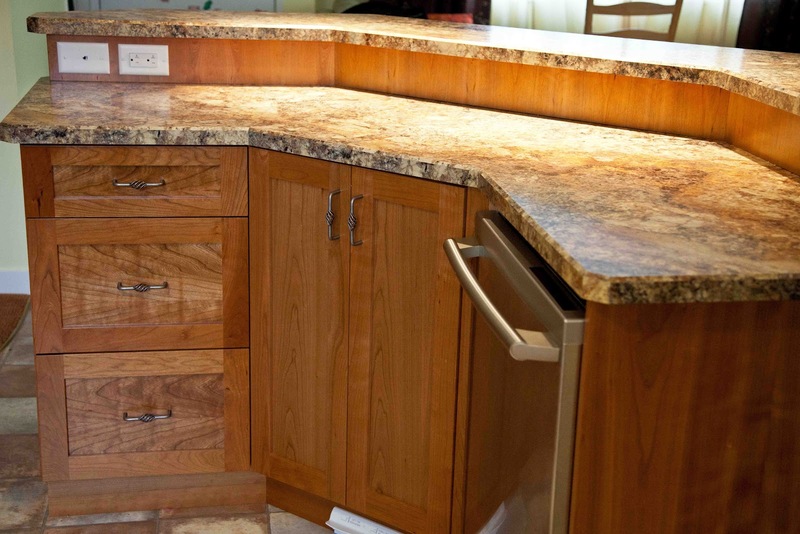 We love the Formica 180fx laminate countertop, which looks like granite (it is actually a scan of a full-sized slab of real granite), but is much more forgiving when you drop a plate or glass on it (which happens often). Ditto the faux terra cotta tile vinyl flooring. It has a slightly rubberized texture, which actually causes dropped glasses to bounce. 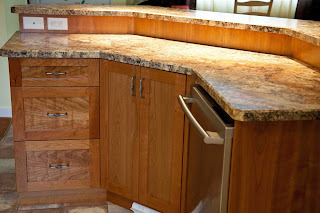 I know granite countertops and tile floors are all the rage, but I have never liked actual granite counters because they are so hard and cold. Having spent hours standing on tile floors while cooking, I can also say with authority that my vinyl floors are much easier on my poor feet. 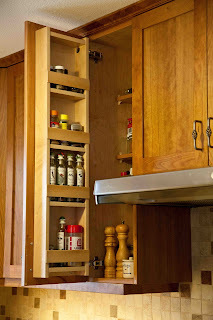 Thanks to Esprit Photography for the gorgeous shots, and thanks so much to MK Kitchens for their wonderful cabinet work. And also thanks to our friend Cameron of Apperley Electric for his re-wiring help, and to my dad for the intensive plumbing and gas-fitting renovations. 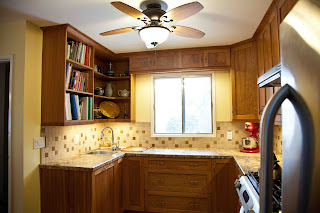 Considering we had to remove a wall and then re-do the ceiling, flooring and paint for the entire living area, this turned into much more than 'just' a kitchen reno. But very worth it!